Put a mug on a mug! Upload a photo or put a saying on one of our mugs and start your mornings off right! Don't forget to upload your logo for a mug at the office. Makes a great gift for moms and teachers! 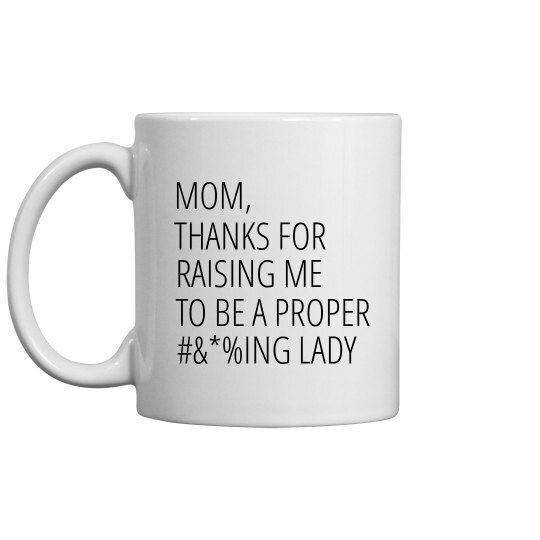 This Mother's Day, celebrate mom with a funny (and maybe inappropriate) coffee mug! Thank her for molding you into the kind and respectful lady you are with a loving message that you can customize. Add her name to the back so it is personalized just for her.